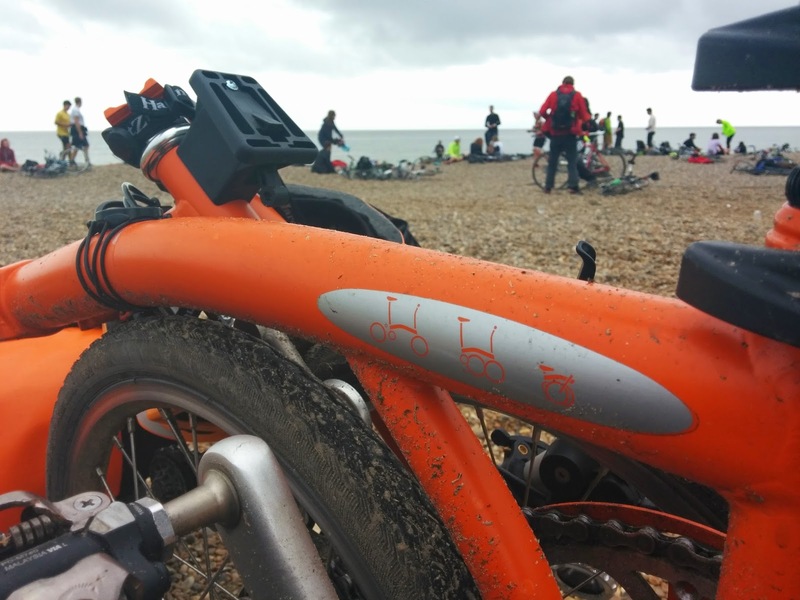 Last year I took part in my first Dunwich Dynamo. This was and still is the longest single ride I have ever done on my Brompton. I have posted a link to the blog post I wrote last year. I have thought long and hard about whether to do this again this year and changed my mind several times. Yesterday however I signed up/paid for the return coach ride that will take me back to London once the Dynamo is completed. This means I have to do it now right?! I have no specific training planned, other than the many rides I am certain to go on. Anything over 100 miles must be respected and it would be wise to go on lots of rides over 50 miles as a way of preparation. Thankfully I am pretty certain I will be but it would be foolhardy to attempt the Dynamo having not put in a few miles. Looking back on last year, I did enjoy the whole experience and am partial to night rides anyway. The only decision will be which Brompton to take - Titanium Orange Brompton S6E X or my Touring Orange P6L?